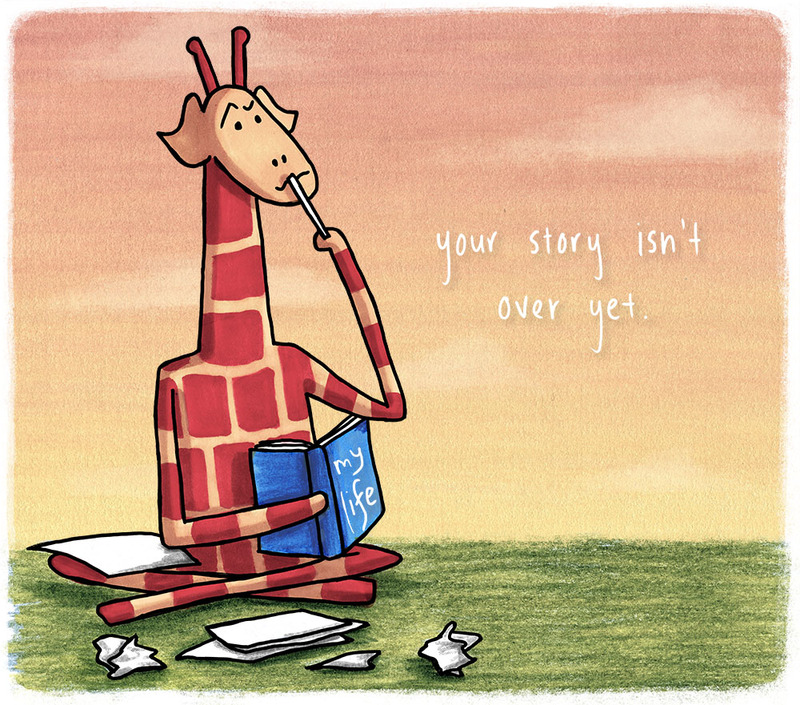 I so need my daily giraffe! Your cartoons have a wonderful warmth to them. Keep it up! Thanks so much :) I’ll try! You are a talented and amazing artist! I so appreciate the thought and effort you take to draw each illustration every day. I have been sending these wonderful images of encouragement to friends and co-workers and have been including them on the reports I send to inspire my team. Thank you so much for everything that you do to brighten our world. Oh how nice, I love your art! That’s definitely advice to live by. I tell myself that I’m actually no good to anyone with flat batteries so I need to recharge myself first. Oh that’s good advice, I like it! Good subject for the day! This is a concept that is often hard to actually do… hard to carve away a little time to not worry about things and not try and organize… but just to be and mellow. I honestly have a tough time mastering relaxation. Thanks Eva, I love your beautiful art :) Have a great weekend! 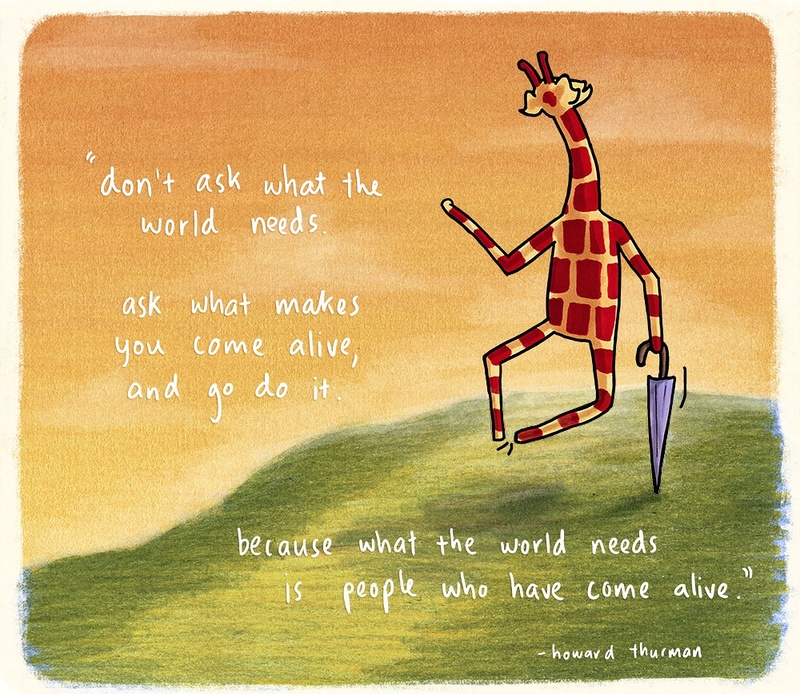 Something fun – and wise! – from a new favorite blog of mine!! One of my favorite pages! An amazing artist with inspirational messages. Personally I like elephants but I have become a fan of the giraffe! 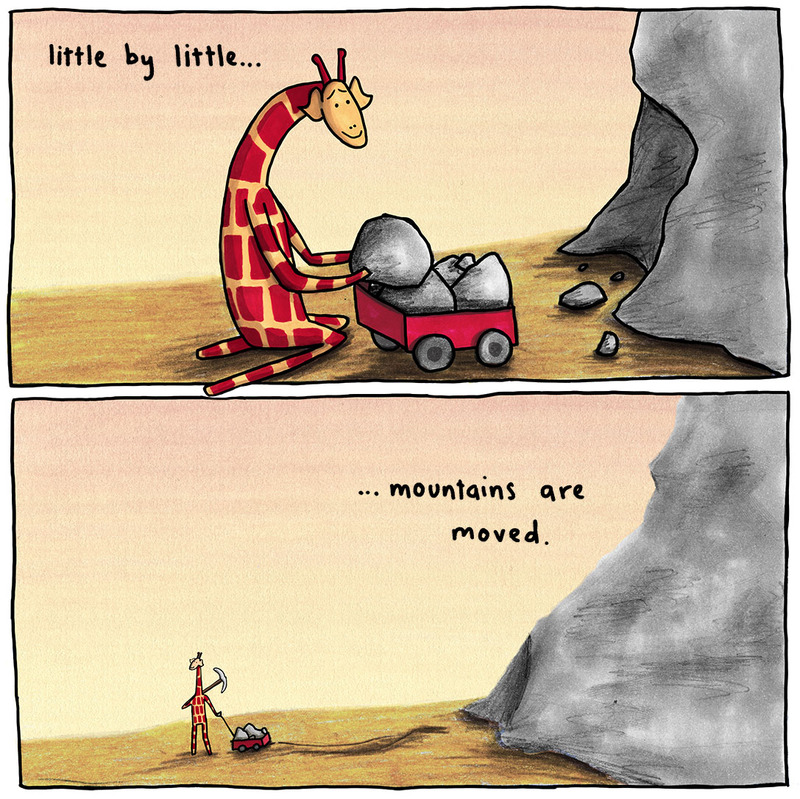 Check out Motivating Giraffe! Amazing work. I am always awaiting the next installment. Keep up the great work! Thank you for visiting my blog Penny. 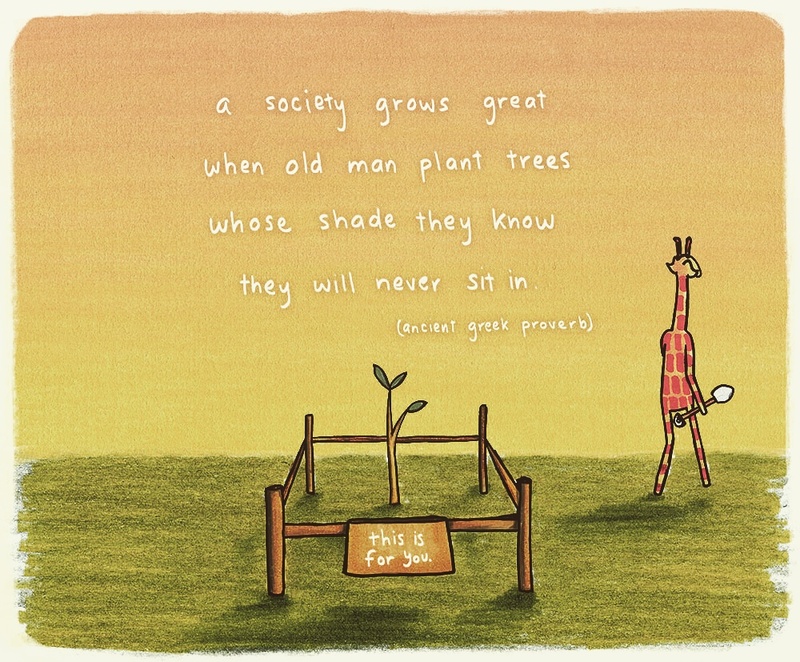 I love your Giraffes, everyone of them, you are very talented! Thanks so much :) I love your art and photography!! Penny, your drawings are delightful. Really reminds me of the graphic freshness and just pleasant drawings of H.A. Rey (but with their own originality). 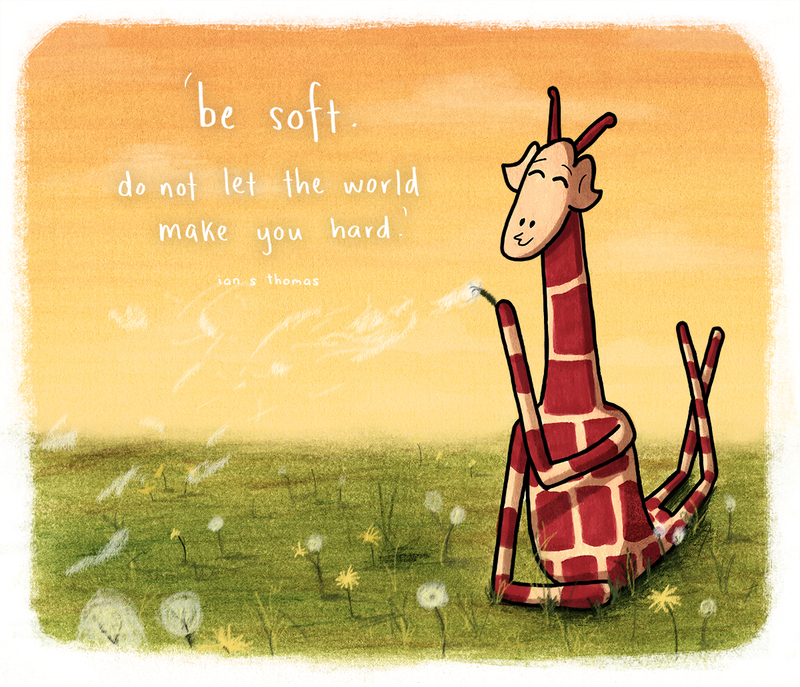 Great giraffe philosophy, Penny! I love your drawings…and the messages. So true. I need to do more taking time for myself. I’ve started going outside for a few minutes on my good days to get some time. I don’t take nearly enough time though. Great post. I love all of the pictures and posts you have. There are a lot of motivational quotes floating around online for those feeling unmotivated. Though I enjoy them from time to time, my medicine will always be Calvin and Hobbes. 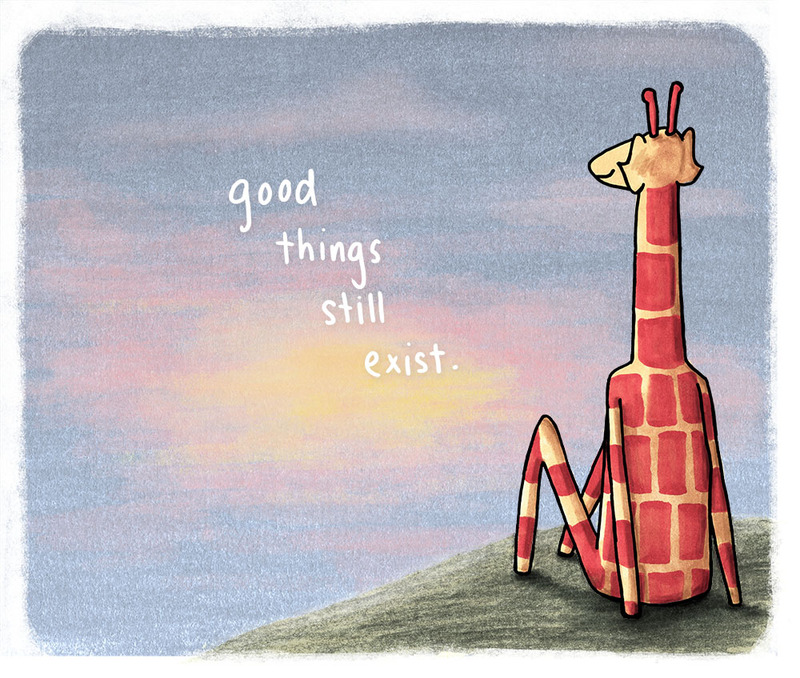 Recently, however, it was Penny Redshaw’s Motivating Giraffe that did the job. 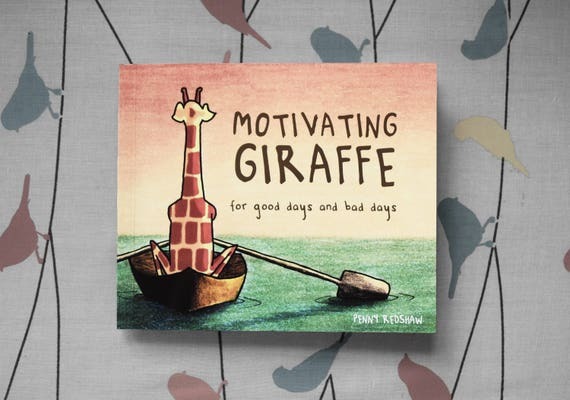 Much like the observant and lighthearted works of Bill Watterson, Penny Redshaw captures a bright and youthful optimism and ties it together with good simple advice. 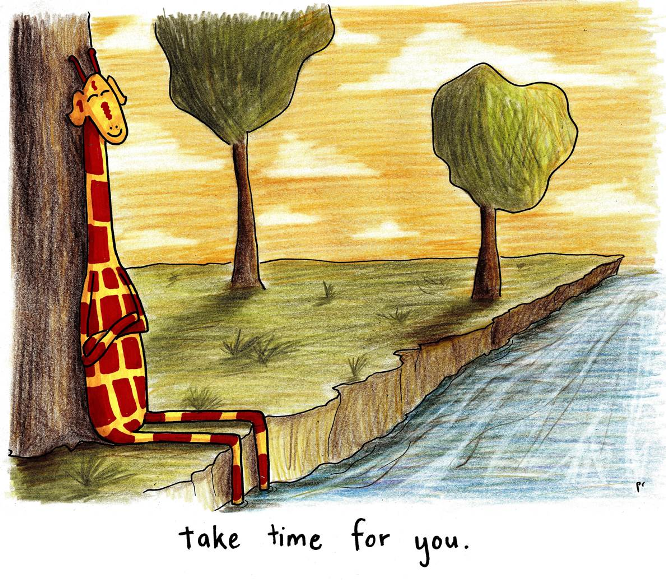 So grownups and kids who are feeling blue are officially recommended to visit: https://motivatinggiraffe.com/ .